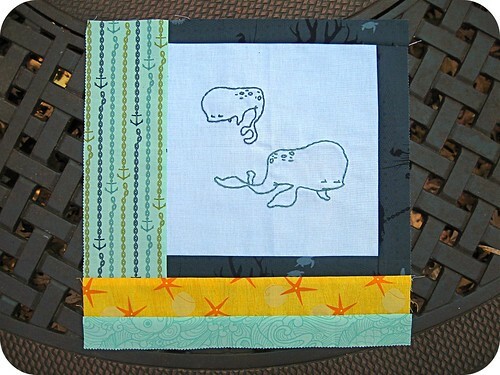 feeling stitchy: Did somebody say stitched whales? Better yet, Kurt Halsey stitched whales?? Carina's beautiful post reminded me of a quilt block I made a while back. I just wanted to share it while we're all enjoying the whale-y love. Oh and this is so very lovely as well.